Avet Terterian wrote the Opera Das Beben in 1984, commissioned by Peters for the Opera-House in Halle, DDR. Ekkehard Klemm was the assigned conductor. Unfortunately the Opera was not realized in Halle that time. 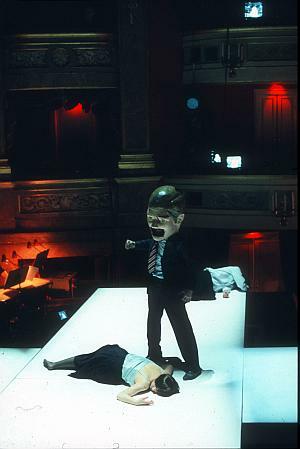 19 years later in 2003 the premiere of the Opera at the Staatstheater am Gärtnerplatz in Munich became a wonderful success. Now, it was the right time for this great work and Ekkehard Klemm and Claus Guth were the right persons to create this impressive performance. Find all information on this opera in the respective chapter.